What does all the information and icons mean on the INSIGHTqc controller home screen? The INSIGHTqc home screen provides an interface for the user to monitor cycle status, batch count status, angle or torque values achieved against the defined limits, system alarms, tightening traces, cycle results, and connection status of any external devices connected to the fastening controller. Essentially, this screen was designed to give you all the critical information you need to know about the system, at a quick glance. Below you will find an explanation of each item that is found on the INSIGHTqc Home screen, starting from the top. To view the programming menu options, log in to the controller with an authorized user account, and select the menu icon at the top left corner of the display. Persistent throughout every controller screen, the tool icon in the top left gives an indication if a tool is successfully connected to the controller or not. If this tool icon is colored green, then the controller has successfully established a connection with a tool. If this tool icon is colored red, then the controller has not made a successful connection with a tool. This can be useful when troubleshooting, as it may be an indicator of an improperly seated and/or functioning tool cable. Persistent throughout every controller screen, the system alarm indicator is colored light grey by default. If the icon is grey, it means that the controller does not have any active system, statistics, or preventative maintenance alarms that need to be addressed. If this indicator is colored yellow (as in the picture at right), this indicates that there is an active alarm that needs attention. This could be that a set preventative maintenance alarm has tripped or that a user programmed statistics alarm is active. Selecting this icon will present the user with a menu that details what alarm is active, why it is active, and when it became active. 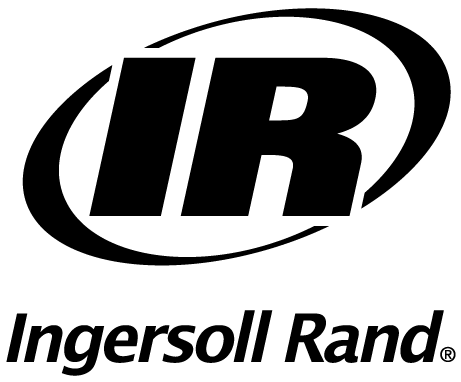 Persistent throughout every controller screen, the red colored Ingersoll Rand logo can be selected by the user to immediately return to the Home screen, regardless of what screen is being viewed when the logo is selected. The logo serves as a Home button to quickly return to the home screen. Persistent throughout every controller screen, the Help function is available to provide a pop up window that includes context-specific help and guidance - based on whatever screen the user is viewing when the Help function is selected. EXAMPLE: If the user was in the PSET programming menu and pressed the Help Function Icon, the user would be presented with a new window displaying help information pertaining to programming PSETs. Persistent throughout every controller screen, the Login function is available to allow a user to log in or log out of the controller. Depending on the settings of the created users, logging in or logging out may enable or disable certain controller functions. There may also be cases where the user is forced to log back in, such as major system level changes. This is true whether the user is using the direct controller interface, or is remotely connected via a web browser. Whatever programming changes are made while a user is logged in, will be recorded in the audit log with the user information associated. A particular user can only log in to the controller from one browser instance, whether it is directly from the controller interface, or remotely from a remote browser. If the user is already logged in in another instance and tries to log in again, the user will be presented with a message indicating that the user is already logged in. This area indicates what JOB is currently assigned to the controller. It is an indication of what will occur next time the trigger is pulled on the connected tool. If the JOB selection mode is set to INTERNAL, the user can also select which JOB they would like to run from the controller screen. If the JOB selection mode is not set to INTERNAL, the JOB must be selected via the programmed external means. Note: Please see the module on programming a JOB (Global JOB Settings) for more information on the available JOB selection modes. The circle indicator next to "JOB:" indicates the JOB readiness. If the indicator is green, then the assigned JOB is valid for the connected tool, and the tool is ready to run. If the indicator is red, then something is preventing the tool from running, and the tool will not begin operation when the trigger is pulled. If the red circle indicator in the JOB area is selected, a pop up text window will appear, indicating the reason that the JOB is not ready to run. This indicator provides a quick means of determining JOB readiness. This area displays the barcode that the controller has received either from an external source or from a connected barcode scanner, and will attach to the cycle log record of the next cycle to be run. Additionally, the controller can be programmed to allow for manual barcode entry from the home screen, which would display a keyboard icon in this area. This enables the user to manually type in a barcode, if desired. The circle indicator at the left side of this area indicates whether a valid or invalid barcode has been received. If the circle is green, this indicates that a valid barcode has been received. If the circle is red, this indicates that an invalid barcode has been received. If the circle is grey, it means that barcode usage is not enabled, and the text will read 'No BCode'. In the header bar to the right of 'CYCLE STATUS' is the name of the PSET that was run to create the cycle data that is being displayed. Indicates the target value for the select PSET in degrees if the strategy is Angle Control. Must be less than or equal to 32,000 degrees. Indicates angle high limit set for the PSET. It triggers when the achieved angle is greater than or equal to the set limit. Indicates the target value for the select PSET if the strategy is Torque Control. Must be less than or equal to the max torque of the connected tool. Indicates the torque high limit set for the PSET. It triggers when the torque achieved is greater than or equal to the set limit. Indicates the torque low limit set for the PSET. It triggers when the torque achieved is less than the set limit. IP addresses that are assigned to each of the two Ethernet ports are displayed at the bottom of the home screen for quick reference. If the IP address is colored red, it means that the static IP address has been assigned, but a physical connection has not been made. If the IP address is white, it means that an IP address is assigned and a physical connection has been made. Note: See Ethernet Settings module for more information on how to set/modify IP addresses.